Your new subscription at Intuit.com. Get 30% off QuickBooks Essentials, the most popular of the three online QuickBooks versions, for your first 6 months of service (and that’s with no long-term contract – You can cancel anytime). That comes out to be just $18.86 per month for the first 6 months. They it goes back to the regular price of $26.95/month. No code is necessary; just follow the above link to lock-in this low price. This version is a good option for those who are switching from QuickBooks Pro and need to import existing reports, need separate access for multiple users, and advanced management for paying bills. Sale lasts through April 15, 2019. If you decide to you would rather pay for the entire year of QuickBooks Essentials upfront, then be sure to check out Amazon as they now have the 12-month subscription on sale for 39% off the list price. That ‘s a savings of a little over $93.00. Free shipping is included. Just remember that sale prices change daily so see site for today’s best price and your purchasing options. Prices may vary – See Amazon for today’s sale price. 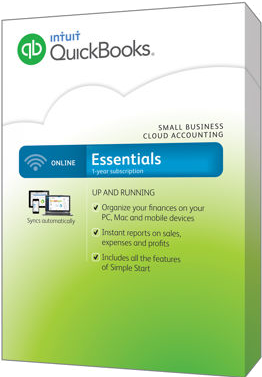 Try QuickBooks Essentials or any of the other 2016 online editions before you buy for free. As long as you haven’t tested QuickBooks before, you will have a full 30 days to try out all of the latest features. No credit card is required for the trial but you will need to open a free Intuit account that will require you to provide some personal information. After 30 days you will need to signup to one of the monthly subscription plans if you wish to continue using the software. 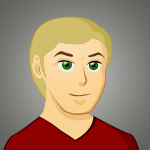 What are the key differences between QuickBooks Online Essentials and Plus? QuickBooks Online Plus has the ability to have up to 5 users with the option of adding more. Online Essentials is limited to just 3 users. With Online Plus you have the option of creating and sending PO’s, time/billing tracking per client, and detailed inventory tracking. Online Plus has more powerful business analysis reports with income and expense class tracking, budgeting review tools, and geo-location capabilities to help you track store performance by location. If you need to create 1099’s forms, then Online Essentials won’t be the best choice as that’s only found in the Plus version. For a full breakdown of the differences between the two versions and how it compares to the QuickBooks Pro, see our article on QuickBooks Online Essentials vs. Plus vs. Pro. Sign up to our exclusive release date email list and we'll let you know as soon as the 2020 versions of QuickBooks are announced and go on sale. Did you run into a pricing discrepancy or expired promotion? Has the subscription pricing changed Online Essentials? Whatever it may be, please let us know. We check this page almost daily to ensure that all these deals are valid and up-to-date, but we’re not prefect. It’s possible that a deal recently changed or expired early and we were not notified of the change. We’ll investigate the issue and help you find an alternate deal to help you save the most on your QuickBooks purchase.